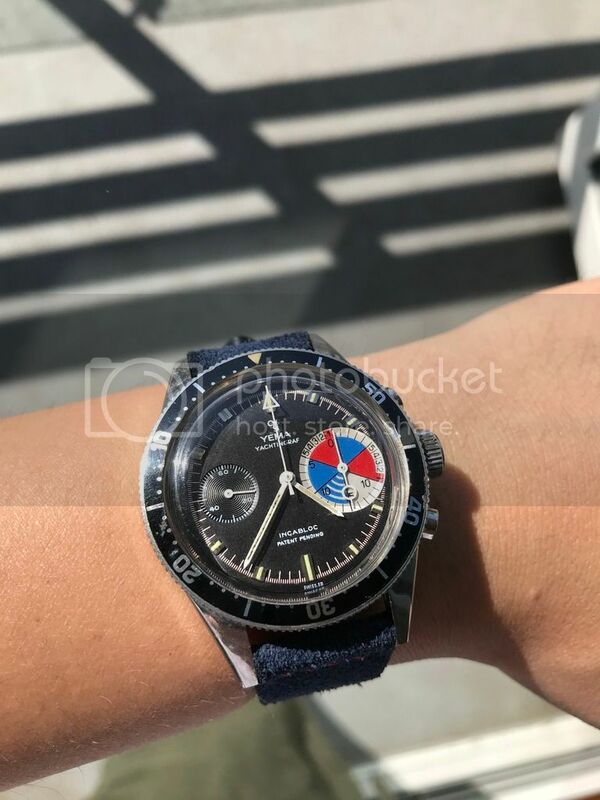 Hi I have here a Yema Yachtingraf measuring 38mm. It was just serviced last year at secondtimearound watch company in LA. The watch to me is in excellent condition. I am asking for $3,500 USD or Best Offer. I can accept PayPal or Bank Wire. The watch is located in Singapore. I only know how to post one picture so I apologize and please feel free to ask for more.